The Brooklyn Bridge is one of the oldest suspension bridges in the world and considered a national historic landmark. 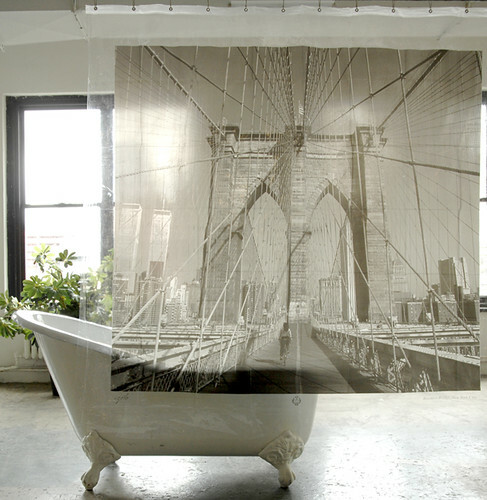 Celebrate New York City and Brooklyn with this durable and high quality shower curtain design featuring a classic photograph of this iconic bridge. Viva Las Vegas! Celebrate this city with this high quality and durable shower curtain design featuring the classic photograph of the sign "Welcome to Las Vegas, Nevada".